The evolution of renewable energy over the past decade has surpassed all expectations. Global installed capacity and production from all renewable technologies have increased substantially, and supporting policies have continued to spread to more countries in all regions of the world. Today, renewable energy technologies are viewed not only as tools for improving energy security and mitigating and adapting to climate change, but are also increasingly recognised as investments that can provide direct and indirect economic advantages by reducing dependence on imported fuels; improving local air quality and safety; advancing energy access and security; propelling economic development; and creating jobs. A lot of progress has been made but there is still a long way to go towards achieving a 100 % renewables future, requiring concerted, united action by all players within REN21. 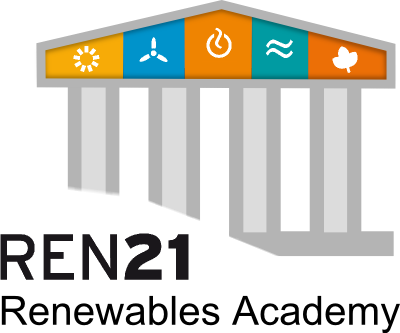 We cordially invite you to join us at the REN21 Renewables Academy to take stock of the renewable energy developments over the past decade and to debate how the global energy transition with renewables can be further advanced. Come network, exchange experiences and debate how to overcome challenges in an informal setting! We are thrilled to share the REN21 Renewables Academy 2014 Programme with you. For additional information about the event, the registration process and logistics can be found in this document. We look forward to seeing you in Bonn, 10-12 November 2014! Copyright © 2014 REN21 c/o UNEP, All rights reserved.